There are a few events that let you know a new year is fully underway. Stores replace the glittery boxes and bows of the holiday season with the vibrant reds and sugary delights of Valentine’s Day. Typing (or writing) “2016” is finally becoming second nature. Your DVR (or watchlist) begins filling back up with your favorite shows. 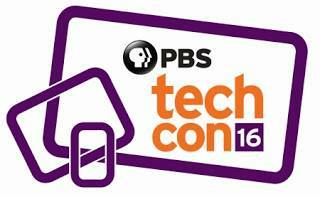 That’s right, PBS TechCon 16 registration is officially open! For the uninitiated, every April PBS holds an annual technology meeting in Las Vegas for any public media professional that uses technology to communicate to audiences. Leaders from multiple fields gather at this premier educational event to share experiences, learn from each other, and go home with new ideas. Last year, PBS Digital worked with PBS Technology & Operations to develop a strong digital track for the conference, taking advantage of the growing intersection of technologies across broadcast and digital platforms. This year, we are excited to return to PBS TechCon with an even bigger and better lineup of digital sessions and opportunities designed inform and engage attendees. If you are already planning a trip to TechCon this year, we are excited to meet you and hear about what your station is doing. One of the notable differences in this year’s digital track at TechCon is the number of sessions. The 2016 conference has nearly double the amount of opportunities to dive deep into digital topics. From a Deep Look at the technology behind one of PBS Digital Studios most successful series to the new frontier of filmmaking that is Virtual Reality, this year’s sessions will explore new ways to make great content for audiences. With so many sessions and opportunities to engage with your peers, you will walk away with practical ways to solve day-to-day digital challenges. Social media focused sessions bring together small, mid, and large stations to explore the best workflows and tools to engage audiences. Analytics conversations dive into using metrics to drive storytelling and success. With this type of hands-on learning, everyone leaves a winner. Beyond the sessions, PBS Digital will also have a booth in the exhibitor area where you can receive demos, meet PBS Digital staff and members of the Digital Media Advisory Council, and connect with other stations at the conference. Over the next few weeks, we will preview the 2016 Digital Track in more detail, including a post with reasons you can use to convince your station to send you to this year’s PBS TechCon. If you aren’t already convinced that this conference is a great opportunity to learn and grow, check out these posts from some of last year’s station digital attendees.